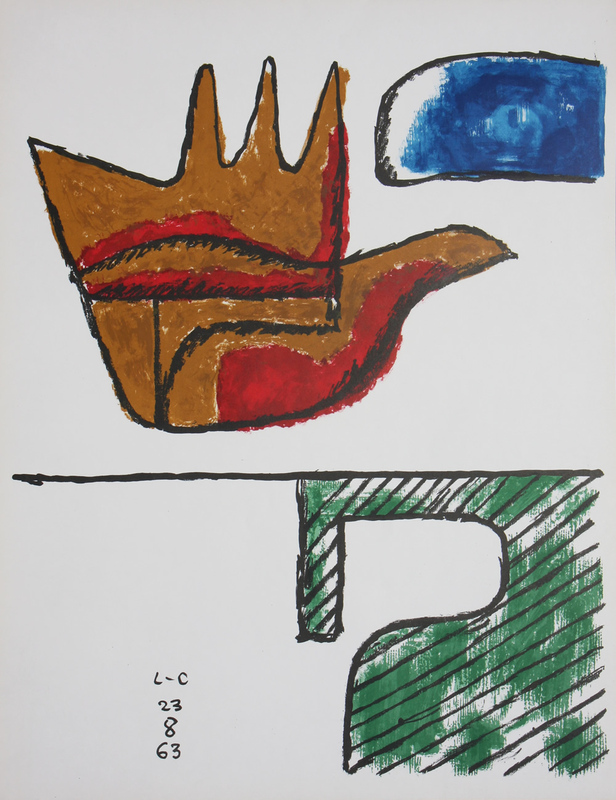 Limited edition Le Corbusier Lithograph in colors. Signed and dated in the plate. Printed by Mourlot, Paris.